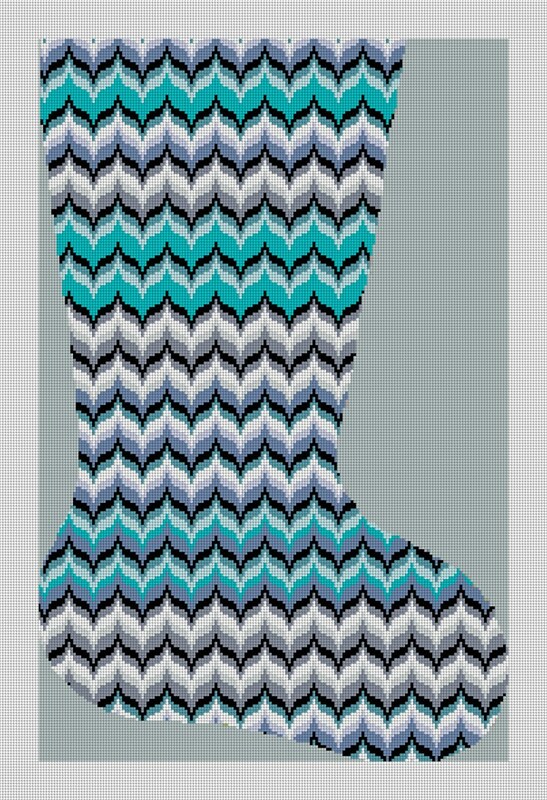 Add a modern twist to your home's holiday decor by stitching our beautiful Blue Bargello Wave Christmas stocking canvas. Bargello refers not just to a stitching technique, but also to the motifs created by the change of colors in stitches. Blue and silver add that modern style, but work with the traditional red and green of Christmas, creating a new fresh holiday color palette.